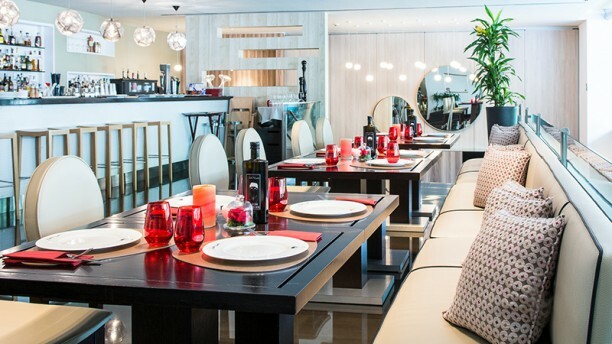 El resturante dispone de dos entradas: por la entrada principal del NH Collection Constanza en Carrer Deu i Mata 69-99, o acceso directo al restaurante por el paruqe del centro comercial L´Illa Diagonal. De martes a domingo : servicio de almuerzos 13 a 16 h.
De martes a sábado : servicio de cenas de 20 a 23 h.
Cerrado:Domingo noche y lunes todo el día. Muy bien atendidos por Fabio???? This is our second time eating here. Service and meals are consistently good. We especially like the 50% discount for making a reservation through trip advisor. I don’t feel guilty having a second glass of wine if I saved money on the meal. Espectacular. Como siempre. Don Giovanni no falla ???? We ate very well ,but would have considered it overpriced without the 50% discount.. They should provide small black pepper grinders,we were offered this huge thing about 1m. long (and that was the smaller one) I did not think those silly big pepper mills still existed! This was such a horrible experience. I got a confirmation email from Google but the restaurant claims they never confirmed. They let us dine but the waiter was so rude. He was incredibly rushed and brought the appetizers and entrees together for some guests. The entire time, half of us had food and others didn’t. Clearly he didn’t want us there. The door was marginal as well. Last night in Barcelona ruined by this dinner. Nice staff and large choice of dishes. Good food. Excellent steak & fish beautifully presented.